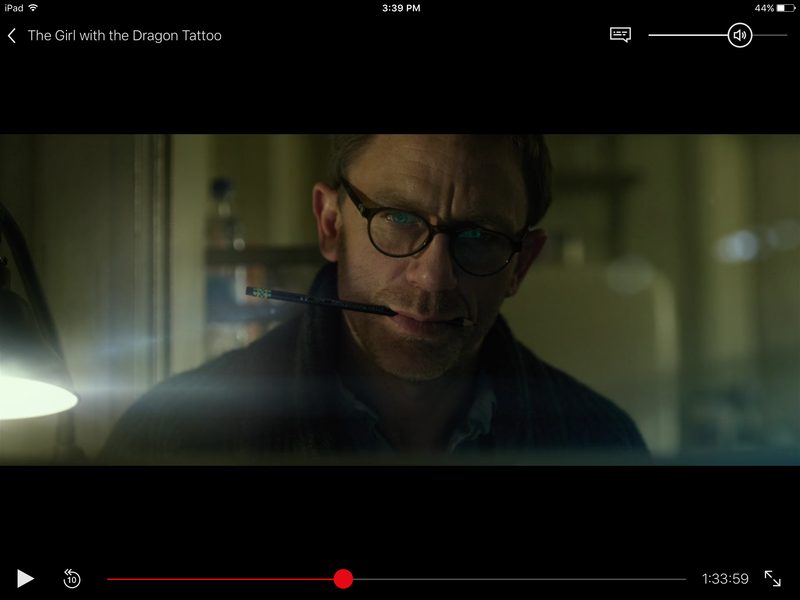 This is Daniel Craig as Mikael Blomkvist in The Girl with the Dragon Tattoo. 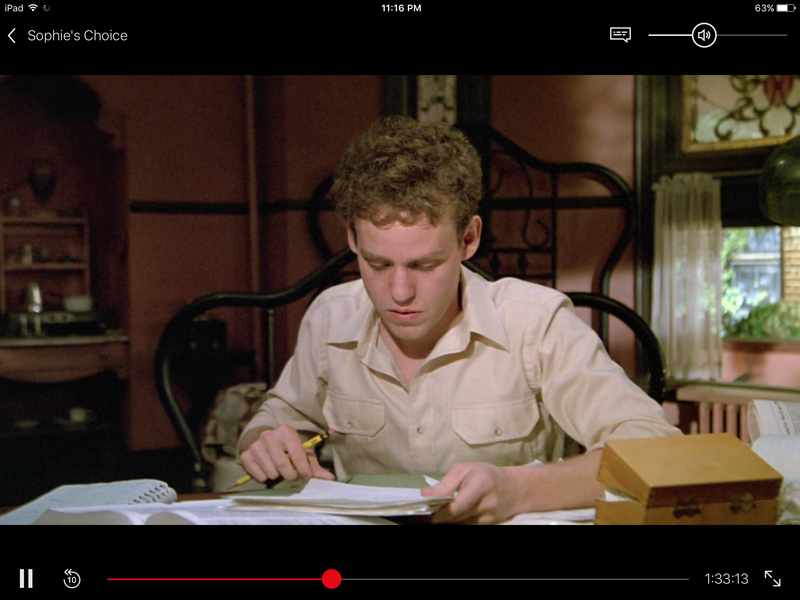 At first I was so excited, thinking that the movie crew made the effort to track down a real Dixon Ticonderoga Millenium for the Millenium series – but upon closer inspection, it turned out to be just an ordinary Ticonderoga Black. 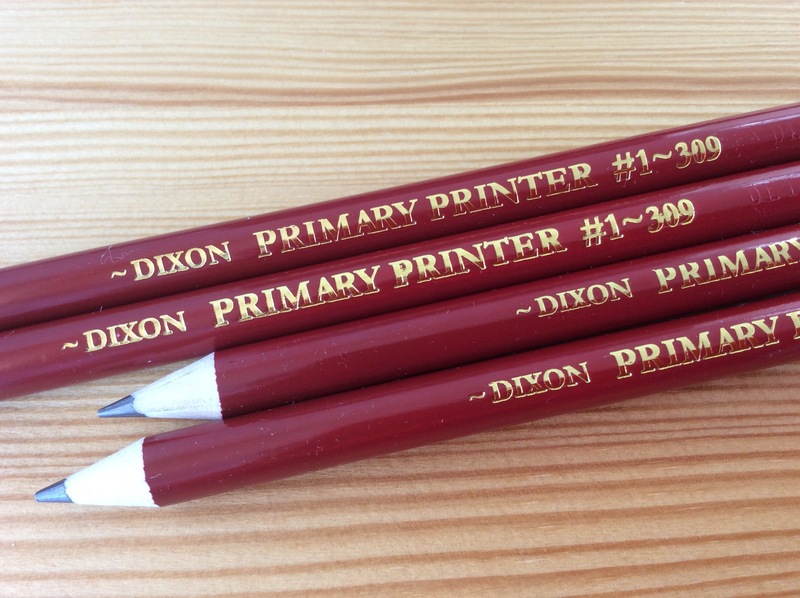 What’s a Dixon pencil doing in snowy Sweden anyway? Maybe they just wanted a dark pencil to blend in with the monochromatic color scheme? 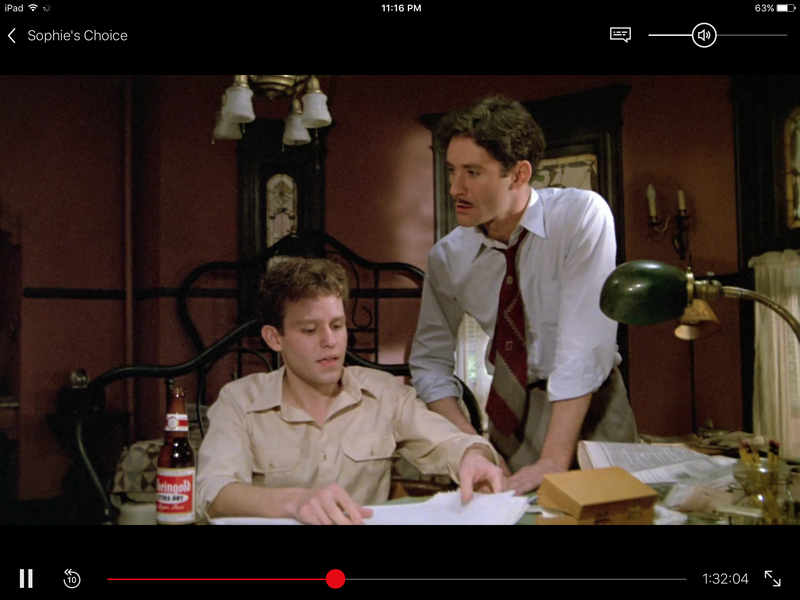 I was overjoyed to spot the rare Mongol 480 in Sophie’s Choice. (It may be a regular hexagonal 482, but that barrel looks round to me!) Stingo, the aspiring writer, has a cupful of these beauties on his desk. And, last but not least: the humble Noris is called up in the service of Art. The soprano Renee Fleming shows how to use a pencil for vocalizing practice (start watching around 1:20; it lasts only a minute or so). There are pencils and then there are pencil boxes. 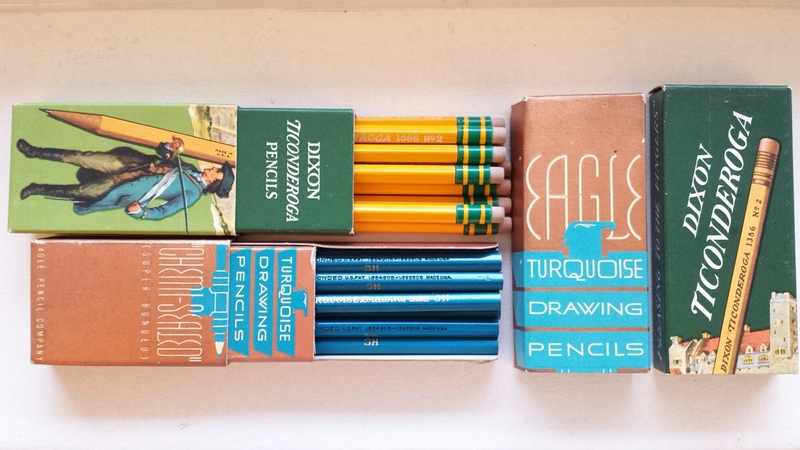 A significant part of the joy in vintage pencils comes from their boxes, which are so much better made and designed compared to the ones on offer today. But there are some surprising details that we can tease out, other than what meets the eye, too. 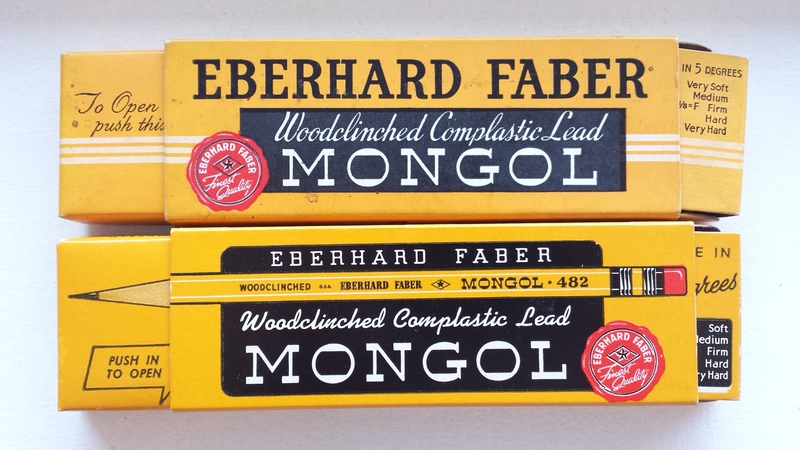 Of these two Mongol variations, the seemingly older version on the top had a patent for box design. I often google patent numbers I find on pencils for fun – and while patents on lead composition and processing are too technical for me to understand, the one for the box was simple, and illuminating. This invention relates to paper boxes of the slide-type comprising a tubular cover section and a body section slidable in said cover section […] and is specially adapted for boxes of shallow depth and extended length, such as is required for lead pencils, and similar objects, arranged in a single layer. A further object of the invention is to provide means for reinforcing such a box at the portion where strength is most required, without extending said reinforcing means throughout the entire box, thereby producing a strong serviceable box with a minimum amount of material. Which, in practice, looks like this. I always liked the look of old Mongol boxes, but thought the sliding sleeve a bit iffy – it didn’t fit snugly into a specific slot, and I was unsure where exactly to stop it (it slid around). Also you wonder how stackable it was, given the slight irregularity of the sleeve. But now I understand that the purpose of this box was as much to aid the display of the items as to store them. The sleeve would have been a good idea especially if the pencils were displayed standing up (“Thus when the box is used for the display of pencils or other relatively heavy articles, the cover section […] provides a substantial brace or support for the tray and its contents”). Indeed, the Mongol boxes can stand on their own, whereas the other boxes can’t! 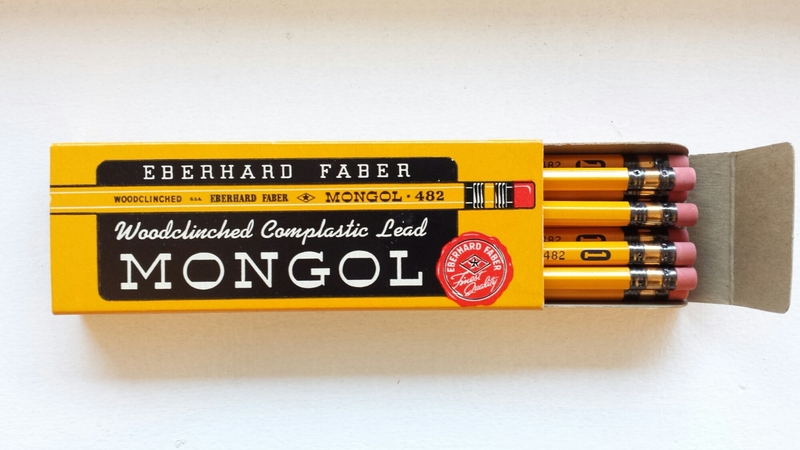 The Mongol seems to have had other advantages too, for example not having a detachable lid like the Ticonderogas and Turquoises. The Tics are also missing the support at the back. 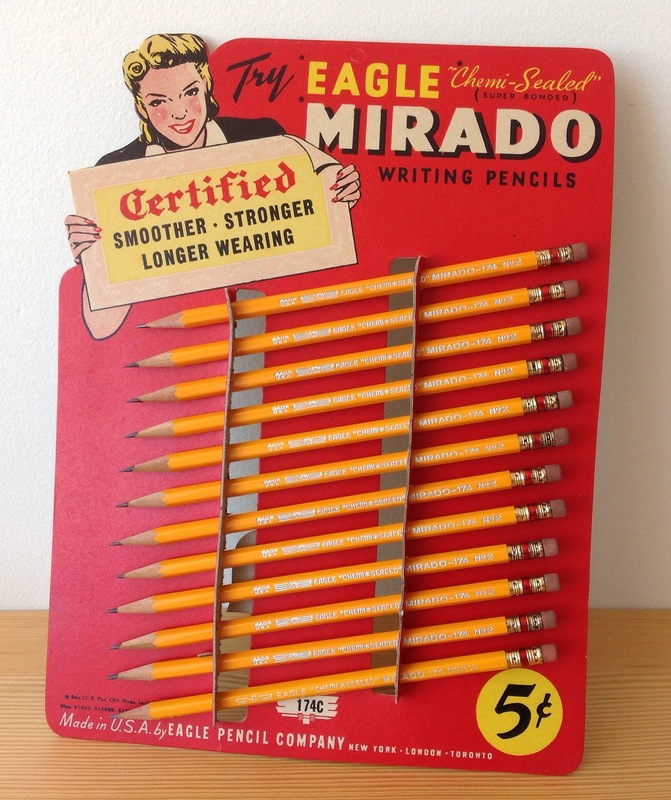 Have you ever seen pencils displayed in storefronts? I haven’t. Not ever. How wonderful to think that they were once premium products worthy of such showcasing! It’s details like these that, for example, make archival photos of window displays such as this come alive for me. One thing that I still haven’t managed to figure out is this: is the lead of a typical No. 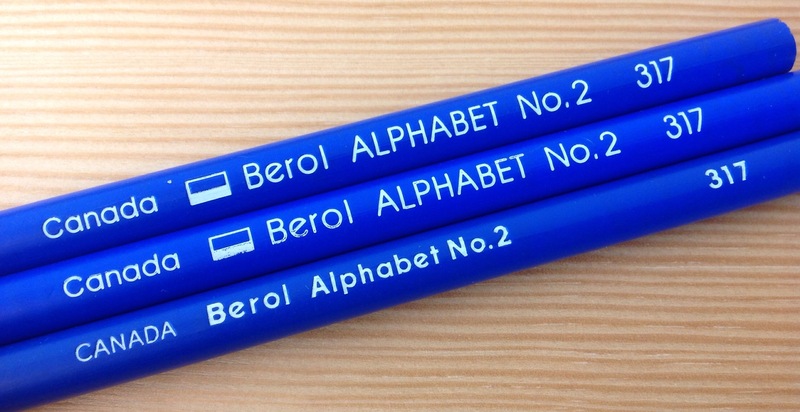 1 pencil identical to a B(or 2B)? Because I have the distinct impression that the No. 1 pencil writes softer, but not as dark as, the corresponding degree in the drafting-pencil line. I would love to know if there were indeed any differences in the formula. The presence of the ferrule and eraser (and therefore the heft) would necessarily change the writing experience somewhat; also different manufacturers would have produced different combinations of dark and soft. In any case, the No. 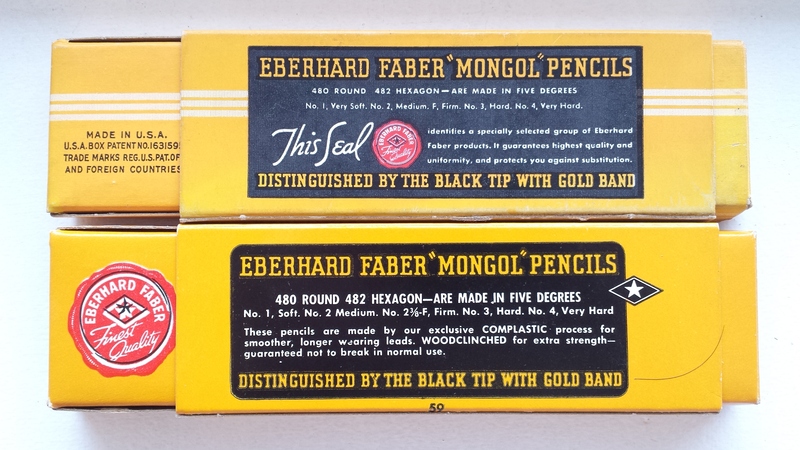 1 pencil is a superbly made instrument, the art of which now seems sadly lost. The No. 1 pencil still comes up in online searches, so they are still being made; however, it has effectively gone out of our lives (in North America), as the usual big-box stationers and even small retailers don’t stock them anymore. Moreover, after what Mary Norris of the New Yorker has written of modern Ticonderoga No. 1’s, I would be wary of any modern purchases. 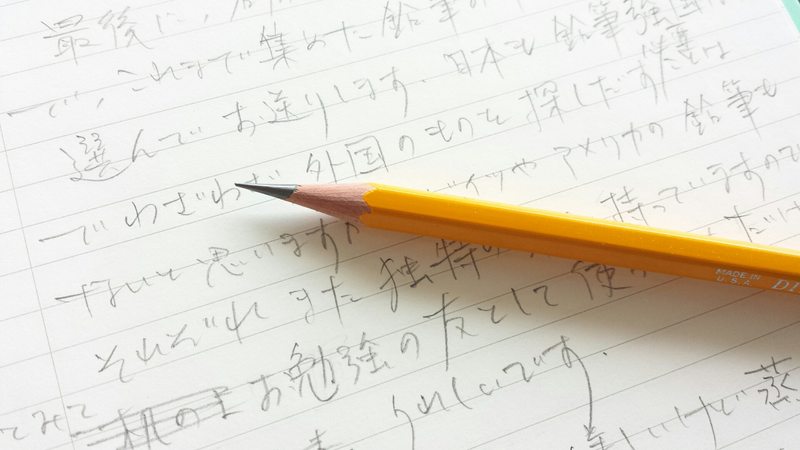 It is Japanese pencils that now best approximate the feel of old No. 1 pencils: in addition to the obvious alternative, the Palomino Blackwing, the pencils that come to mind as possible substitutes are the Mitsubishi 9850 and the Tombow 2558. But Japanese pencils write blacker; they’re not the same. It’s something I’d like to see again, a properly made No. 1 pencil, bearing the legend Made In U.S.A. 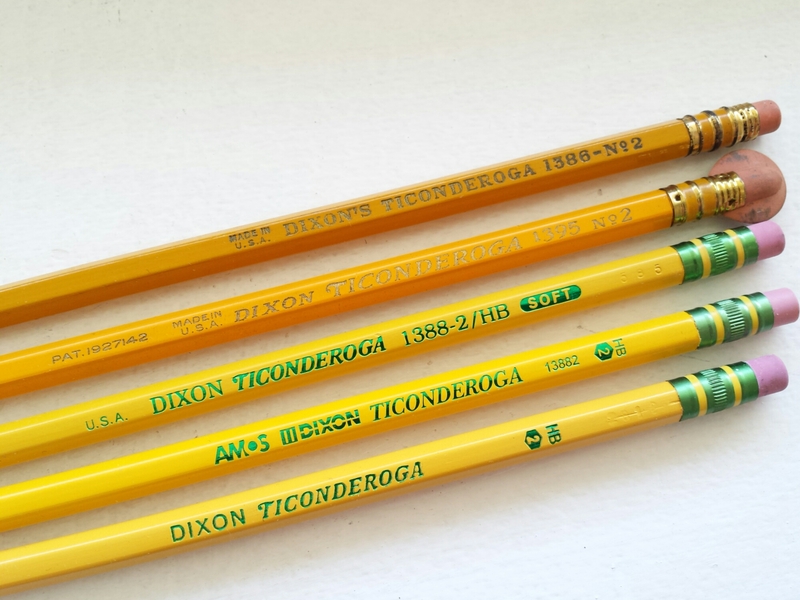 The Dixon Ticonderoga is an American icon and (it seems) one of the most beloved pencils of all time. It took some time for me to get to it, though, because for a person who didn’t grow up with it, the name was too strange and the colors on it somehow looked Brazilian, not American. 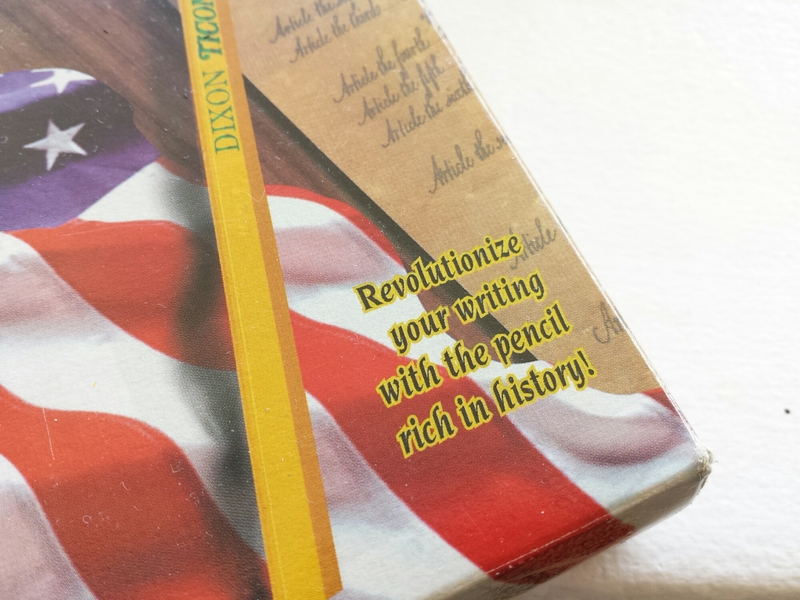 So, as a newcomer to the Ticonderoga, I will speedily refer you to other, more authoritative resources, such as the excellent Pencil Revolution (starting from here – the comments too) and Brand Name Pencils (for the dating of various models). There just is a lot more love over there, and as we all know, Love is important when we talk about pencils. I will just note that the top three are made in the U.S.A., whereas the Amos Dixon was made in China, and the last Tic probably in Mexico. 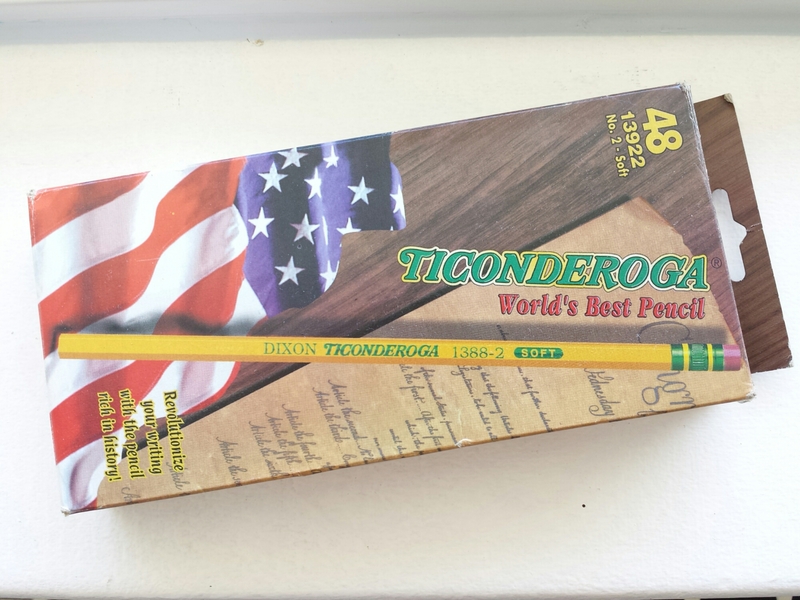 I haven’t tried the most recent batch of Ticonderogas. The thing about American-made pencils in their prime is that they are such great workhorses. 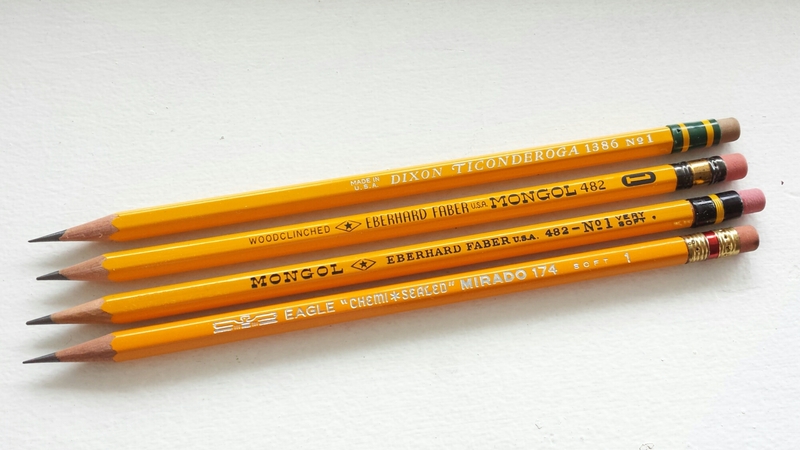 When you have something like the Ticonderoga in your hands, Japanese pencils such as the Hi-Uni start to seem frivolous, a bit boutique-y perhaps. 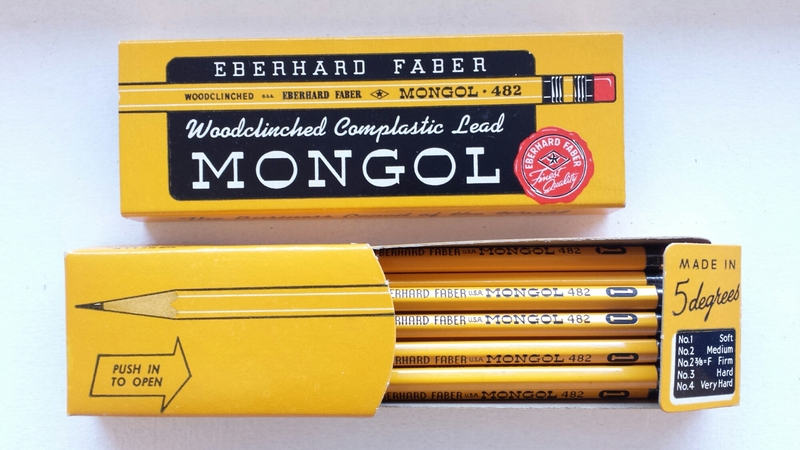 Pencils like these were born not only to be written but to be rolled and chewed and lived with. The packaging (for the 1388-2 HB Soft pencil, in the middle) is very American too. Four dozen! 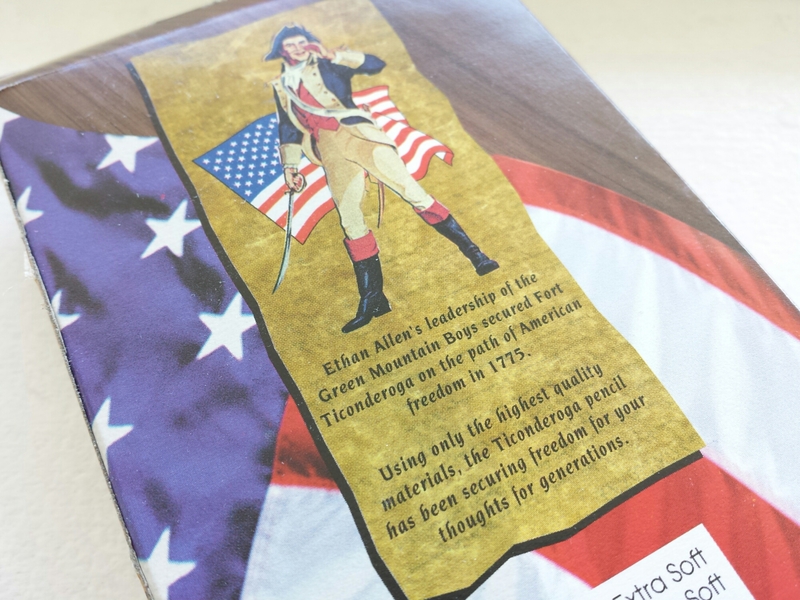 The marketing probably was always quite patriotic for the Ticonderogas, but this particular version makes me wonder whether they were making a last-minute effort to appeal to the public to buy American-made pencils just before production moved to Mexico.